All of my February picks have been published by small presses and independent publishers, all brilliant books. Check them out. In a hard-boiled city of crooks, grifts and rackets lurk a pair of toughs: Box and _____. They're the kind of men capable of extracting apologies and reparations, of teaching you a chilling lesson. They seldom think twice, and ask very few questions. Until one night over the poker table, they encounter a pulp writer with wild ideas and an unscrupulous private detective, leading them into what is either a classic mystery, a senseless maze of corpses, or an inextricable fever dream . . .
Briella Blake has always been wicked smart. When she's invited to attend a special school for gifted students, she finally has the chance to focus on a project that begins to consume her - the ability to recreate and save copies of a person's entire set of memories. 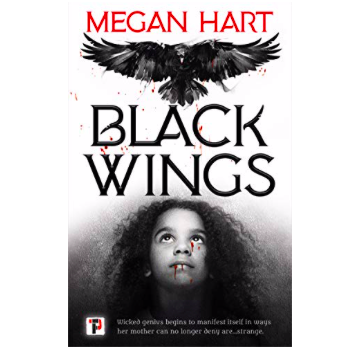 Her friendship with a raven that's as smart as she is leads to conflict with her mother Marian, who is no longer able to deny that there's something wrong with her child. As dusk approaches, a former surgeon goes about closing up his dilapidated clinic in rural India. His day, like all his days, has been long and hard. 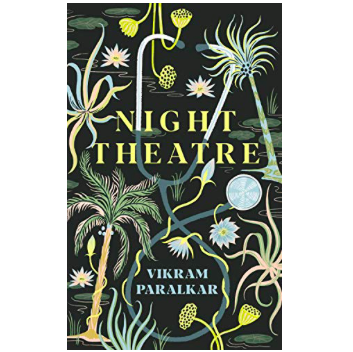 His medical supplies arrive late if at all, the electrics in the clinic threaten to burn out at any minute, and his overseer, a corrupt government official, blackmails and extorts him. It is thankless work, but the surgeon has long given up any hope of reward in this life. Michael lost his wife in a terrorist attack on a London train. Since then, he has been seeing a therapist to help him come to terms with his grief - and his anger. He can't get over the fact that the man he holds responsible has seemingly got away scot-free. He doesn't blame the bombers, who he considers only as the logical conclusion to a long chain of events. Sander Bree is a royal mage. Steeped in privilege, he lives a cushy life advising the king on matters of court and politics, yet still complains that he's stuck in a rut. Rosheen Katell is a freelance mage and, with Anzu her griffin, she’s worked hard to build a reputation as a trustworthy truth seer. She never lies, never kills. The source of their power is the Lapis Moon in orbit above. Very soon, that magic will be gone, changing their lives and their world forever. The popular Beijing Duck House in Rockville, Maryland has been serving devoted regulars for decades, but behind the staff's professional smiles simmer tensions, heartaches and grudges from decades of bustling restaurant life. Owner Jimmy Han has ambitions for a new high-end fusion place, hoping to eclipse his late father's homely establishment. Liverpool is in the grip of an intense heatwave, and strange things are happening. A woman dies in an apparent case of Spontaneous Human Combustion; a truck explodes on the dock road; the charred corpses of pets litter the city; forest fires ravage the pinewoods…and there are birds everywhere, silent flocks drawing in ominously.